A mod to place in the autoexec and some crosshair ! With this mod you can change crosshair and crosshairsize in game ! very nice, but can i ask u where i actualy can change the crosshair in the game, or wich command do i have 2 use? btw, crosshairsize is always been adjustable, by using /crosshairsize. 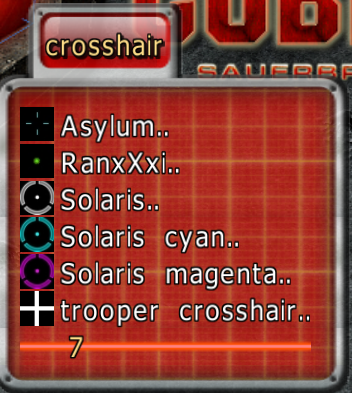 Nice Crosshair from Asylum^, perfect for his Autoshoot. What is the reason fo having the (empty) "Nouveau dossier" directory? !